Some neighborhoods have higher rates of pedestrian and bike crashes. 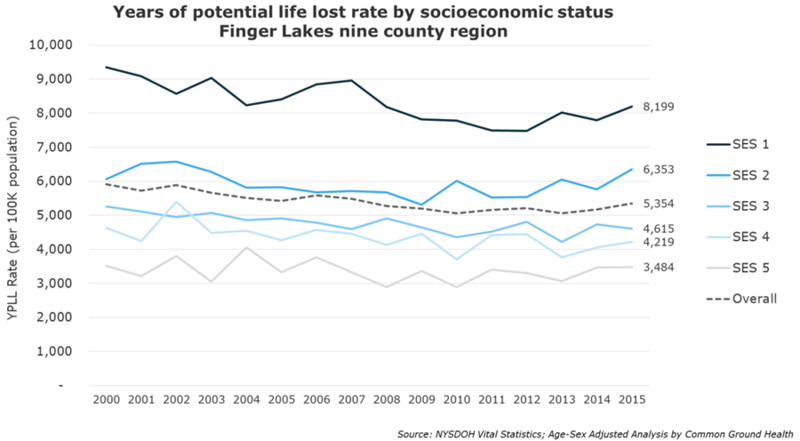 Through more than 300 data graphs and maps, Common Ground Health’s updated chartbook examines the depth and breadth of health inequity across the Finger Lakes region. The 185-page report is our most comprehensive examination of the interplay of race/ethnicity, socioeconomic status and geography. Among the findings is the clear link between poverty and health, including premature mortality rates that are 135 percent higher in the region’s poorest neighborhoods relative to the most affluent ZIP codes. Organizations, policy makers and individuals are encouraged to use the chartbook to create a shared, fact-based understanding of our region’s health challenges. Read more and download the full report. Sixteen local groups, ranging from health organizations to government to a cycling nonprofit, have banded together to launch a new advertising campaign aimed at reducing the number of crashes between motor vehicles and pedestrians and bicyclists. Called Drive 2B Better, the campaign asks drivers to slow down, scan for pedestrians and space their vehicles three feet from bicycles every time they’re behind the wheel. Learn more and pledge your support. 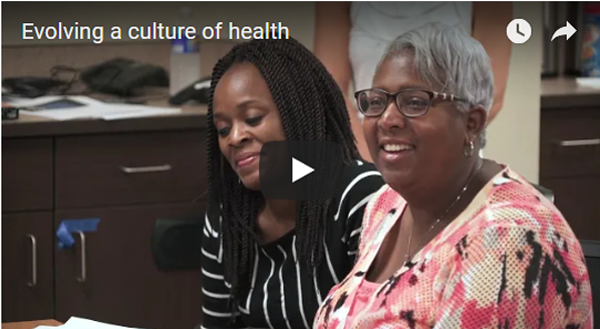 Wade Norwood, CEO of Common Ground Health, shares how the High Blood Pressure Collaborative initiatives in doctors’ offices, churches and barbershops and salons have helped residents better manage their health and wellbeing. 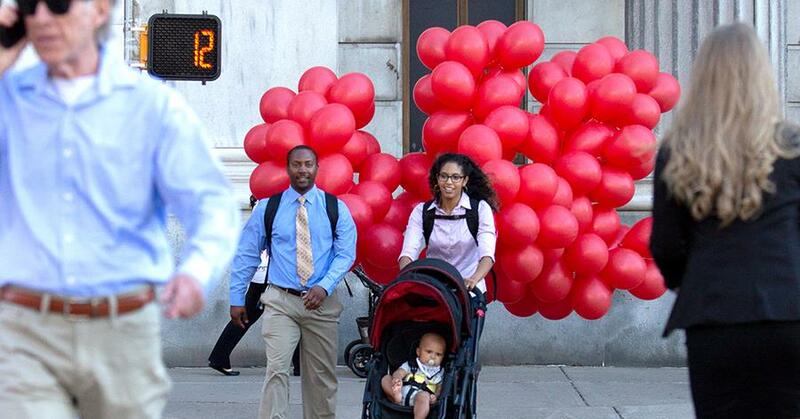 “When we’re engaging in health improvement, it truly is not just about people’s blood pressure. It really is about their overall whole health,” he says, noting that our community has a great opportunity to evolve a culture of health. View the video. A partnership of Cornell Cooperative Extension and Foodlink, Finger Lakes Eat Smart NY has a team of nutrition, health and gardening educators who support recipients of the Supplemental Nutrition Assistance Program. 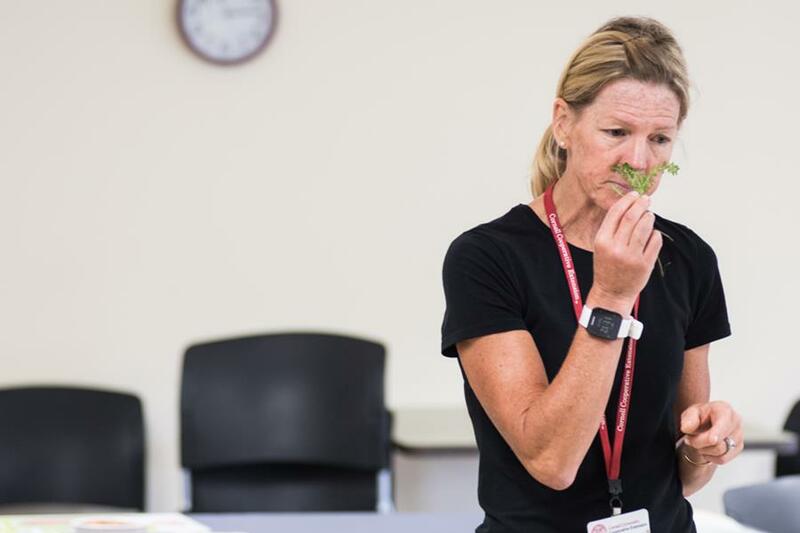 Learn more about the program in a story on Finger Lakes Eat Smart NY educator Michelle Weiler, who helps guide residents of Pinnacle Apartments in Rochester in growing their own food, cooking with fresh herbs and reducing their use of salt. Read more. Rochester Street Films: Complete Streets edition, 6:30 to 8:00 p.m. Nov. 14 at the Little Theatre, 240 East Avenue, Rochester. A short film and panel discussion on the Complete Streets Makeover of the intersection of Parsells Avenue and Greeley Street in Rochester. Details here.